South Florida Blog for Fashion & Lifestyle | Frugal Flirty N Fab! : BaddAzz! 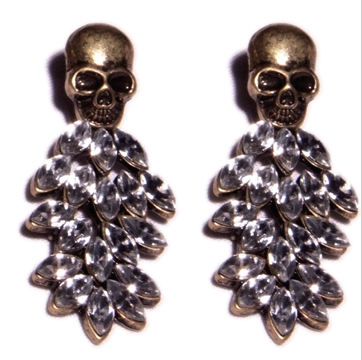 BadAzz is the first thing that came to mind when I layed my eyes on these Gold muted Skull Earrings with clear glass crystal tiers.